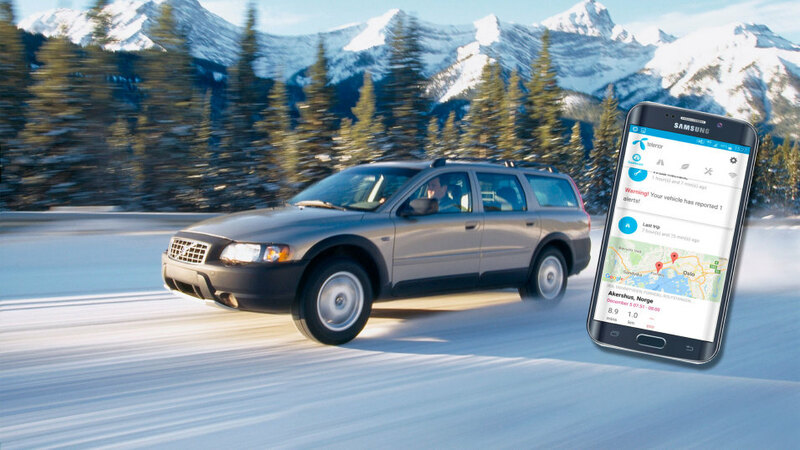 Both older and new cars can be smarter with the new Telenor Connect platform to be launched during the year. In addition to a comprehensive overview of vehicle status, car owners also have access to a complete ecosystem of car-related and tailored services within the app. A network of trusted partners will offer personalized and timely offers to the customer, ensuring a seamless experience for the car owners. Telenor Connect will first be tested in Norway, Sweden and Denmark, before being rolled out in the Nordics as well as potentially in other markets in Telenor Group’s global footprint and beyond. The IoT initiative was unveiled at the first Nordic Car Connect Forum at StartupLab in Oslo yesterday. The newly established forum gathers representatives across sectors, company size and borders, and aims to become the number one meeting point for companies driving innovation within the connected car ecosystem in the Nordics. “As IoT increasingly goes mass market, Telenor wants to offer customers smart and useful services that make their daily digital lives easier. By 2020, forecasts indicate that more than 250 million connected cars will be on the roads and we know that within IoT, the connected car offers one of the biggest opportunities. Telenor can play a central role in moving IoT for cars beyond navigation by enabling a digital platform for new services within the connected car ecosystem. The mobile phone offers endless opportunities for our partners and also the startup community, which can develop content for the app ecosystem,” says Sigve Brekke, President & CEO of Telenor Group. Telenor has partnered with leading companies in their verticals in the Nordics to provide the best offers and services for the user of Telenor Connect; Bertel O. Steen (Norway only), Circle K Europe, EasyPark, If P&C Insurance, and Mekonomen Group (not Denmark). The customer can choose which services they want to use and with whom to share data with from the app. The app will also offer 4G Wifi hotspot in the car, enabling a range of tailored in-car entertainment services on the move. Telenor Group is a member of European Automotive-Telecom Alliance and has significant competence and experience within IoT, primarily through its global vehicle Telenor Connexion. Together with customers including car companies such as Volvo and Nissan, the company has designed smart and innovative IoT solutions deployed across the globe. The Telenor Connect app is the latest step in Telenor’s smart car offering and has been developed by Telenor and partner Swedspot, a spin-off from Swedish car-manufacturer Saab Automobile which offers connectivity solutions for vehicles. The ecosystem API makes it possible for Telenor’s large partner and startup network to develop applications for the platform and to expand the connected car ecosystem to become the leading app store for cars in the Nordics.